Today I’m honored to be part of the Unshakeable book club. This amazing new book by Angela Watson is definitely a must-read for every teacher. This is day 6 of the book club – check out this post to see the entire discussion, or purchase the book for yourself here. Let me ask you something – How hard is it for you to say no when someone asks you to take on a new task? Do you ever find yourself saying yes out of guilt or simply because you’re scared to say no? We’ve all been there, and I have to admit, I used to really struggle with this. I would basically just try to do everything because I hated saying no. Over time, however, I’ve started to realize just how important it is to say yes only to the right requests and say no to the rest. This is a skill everyone should master, but if you’re feeling burnt out or overly stressed as a teacher, then it’s especially important for you. 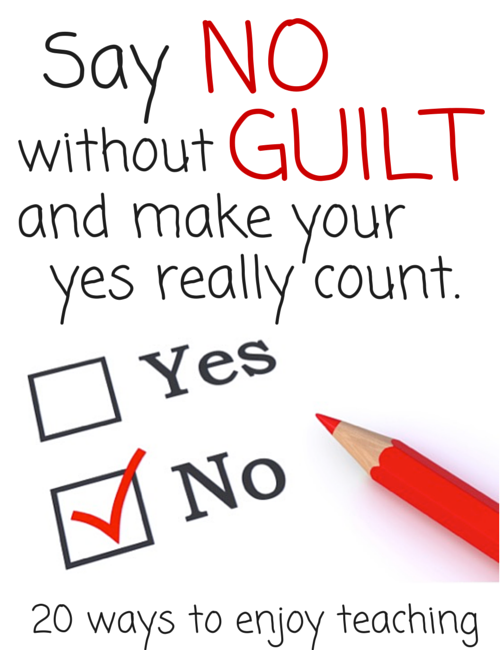 Why should we say no without guilt? The reality is that if we say yes to one thing, we are simultaneously saying no to something else. Think about it. Your time is limited. So if you say yes to leading drama club, you’re going to have to say no to something else. Maybe you won’t have time to plan that fun activity you wanted to do with your first-period class, or maybe your plate will be too full when an administrator asks you about a different opportunity next week. If we say yes to one thing, we are simultaneously saying no to something else. Or it could be that you’re saying no to spending time with your family or getting the rest that you need. On the other hand, saying no to something means that you are choosing to say yes to something else. And, even better, it means that you are intentionally deciding what to say yes to instead of having others decide for you. Does that mean we should always say no? Absolutely not! But it does mean that we need to count the cost before we give our answer – and to be intentional about what we are choosing. Will people always understand? No. Will they be disappointed? Possibly. But the more you set clear priorities, stick to them, and guard your time, the happier and more productive you’ll be. And when you do say yes to something, you’ll be able to put your whole heart into it because you will have chosen it intentionally for the right reasons, not just to avoid a guilt trip. Tactfully enforce boundaries for parent communication. Angela gives so many practical pieces of advice in this regard, including having an autoresponder email message during the day that thanks parents for their email and informs them that you’re busy teaching and will respond after school has ended. I want to add one more piece of advice on this topic. When a parent asks you to send home regular updates about their student, reply with, “I’d be happy to update you about ____. Please just send me an email whenever you’d like an update, and I’ll be happy to reply.” Putting the responsibility back on the parent takes one more thing off your mind and keeps you from making a promise you might not remember to fulfill. Don’t make no your default reaction. Often we can quickly meet a request without too much trouble, and we should do so as often as possible. Saying yes whenever we can shows that we do care and builds rapport for when we do need to say no. Accommodate special requests but emphasize your policies. 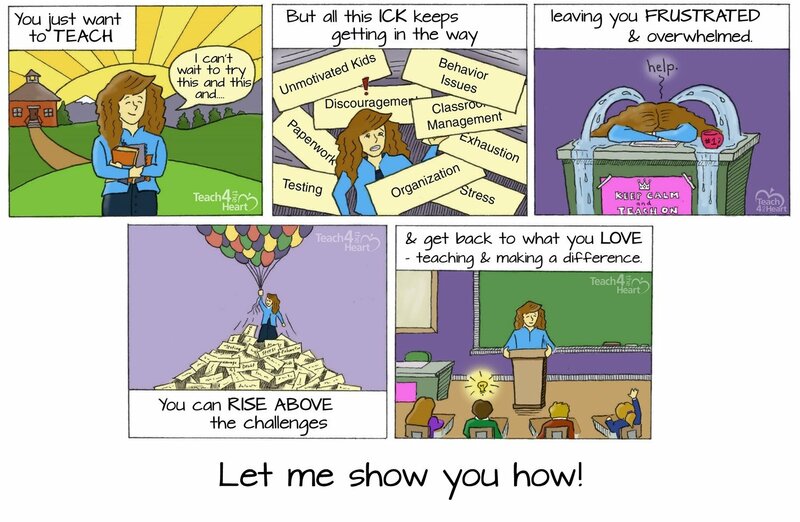 Sometimes it is good and right to make an exception or to do something for one student that you don’t do for everyone else (If you don’t believe me, check out my post “Why Teachers Should Not Always Be Fair“). But to keep from setting a precedent, tell the parent that you’re making a special exception but that your typical policy is still _______. You may also ask them to keep your arrangement confidential or inform that that this is a one-time exception that they shouldn’t expect to be repeated. Use the phrase “I can’t say yes.” Instead of saying, “I’m sorry, I can’t do that,” try something like, “I wish I could, but I can’t say yes because I already have too much on my plate right now.” “I can’t say yes” respectfully empathizes with the request while clearly defining your boundaries. If you haven’t gotten a copy of Unshakeable, you really need to grab one now. I rarely say a book is for “every teacher,” but I truly believe this one is. 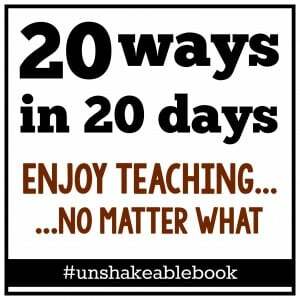 Angela Watson has done an incredible job, and the subtitle really says it all: 20 ways to enjoy teaching every day…no matter what. This is such a timely and important subject – and the practical strategies Angela gives in this book are priceless! 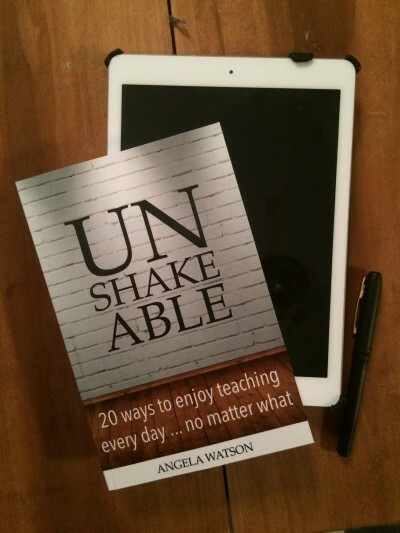 Click here to get a copy of Unshakeable: 20 Ways to Enjoy Teaching Every Day…No Matter What! Click here to see the rest of the posts in the Unshakable book study. 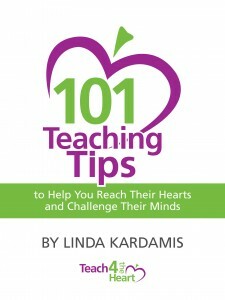 If you enjoyed this post & would like more practical teaching tips, click here to get a free copy of my quick-read ebook 101 Teaching Tips to Reach their Hearts & Challenge their Minds. Linda, I so enjoyed reading your reflections on this topic! Your advice about putting the ball in the parent’s court for more updates is fantastic. Thank you for sharing.